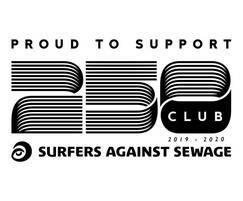 Newton Waterproofing Systems are proud to announce their partnership with the national marine conservation and campaigning charity, Surfers Against Sewage (SAS). Surfers Against Sewage inspire, unite and empower communities to take action to protect oceans, beaches, waves and wildlife. The charity's mission, shared by Newton, is to protect the world's oceans by preventing their pollution from throwaway plastics and sewage. We at Newton pride ourselves on leading the way for sustainability initiatives in the UK waterproofing industry, particularly with the launch of the Newton Membrane Recycling Service in 2017, the first and only closed-loop recycling service of its kind. Run in collaboration between Newton and our Specialist Contractors (NSBCs), the service collects and recycles off-cuts of HDPE waterproofing membrane from across the UK for reuse in the construction industry. Since the service launched, it has prevented over 8.53 tonnes of plastic from going to landfill. 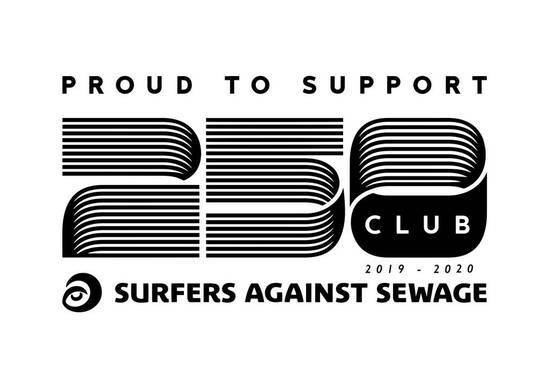 As a member of the Surfers Against Sewage 250 Club, Newton is now part of a powerful network of like-minded companies who share a common interest in protecting and cleaning the world's oceans. The profits made from the Newton Membrane Recycling Service will be donated to the charity in aid of protecting the UK's unique and beautiful coastline from several environmental issues including marine plastic pollution, a new priority for SAS. 320 million tonnes of plastic was generated globally in 2016. This is set to double by 2034. Every day, 8 million pieces of plastic pollution find their way into the ocean. There are 5,000 items of marine plastic pollution per mile of beach in the UK. By 2050, there will be more waste plastic in our oceans than fish. Campaigning for improved environmental and coastal laws. Creating educational programs and awareness activities. Improving water quality so you can safely surf and swim in the sea. Pressing for reformation on the use of plastics. Working with The Climate Coalition on the global issue of climate change. If you are interested in joining a community of people united in protecting our coastlines, please visit Surfers Against Sewage's website to get involved by volunteering for a beach clean, supporting a campaign or even hosting your own fundraising event.